The conflict between the Israelis and Palestinians is technically 69 years old and counting, but it has its roots in over 2,000 years of history. Over time, it has become exceedingly difficult for even sophisticated political pundits and followers to keep track of it all. 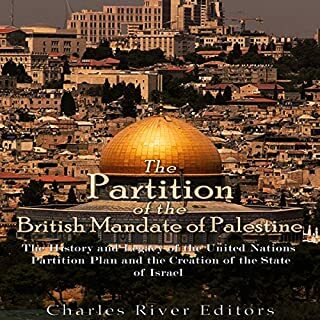 In 1947, the British delegated the issue of partitioning the British Mandate to the United Nations. The UN General Assembly eventually came up with what is now known as the UN Partition Plan of 1947. The journey that Peled traces in this groundbreaking memoir echoed the trajectory taken 40 years earlier by his father, renowned Israeli general Matti Peled. In The General's Son, Miko Peled tells us about growing up in Jerusalem in the heart of the group that ruled the then-young country, Israel. He takes us with him through his service in the country's military and his subsequent global travels...and then, after his niece's killing, back into the heart of Israel's conflict with the Palestinians. A Remarkable Mother is President Carter's loving, admiring, wry homage to Miss Lillian Carter, who championed the underdog always, even when her son was president. A registered nurse, pecan grower, university housemother, Peace Corps volunteer, public speaker, and renowned raconteur, Miss Lillian ignored the mores and prejudices of the racially segregated South of the Great Depression years. In Enemies and Neighbors, Ian Black, who has spent over three decades covering events in the Middle East and is currently a fellow at the London School of Economics, offers a major new history of the Arab-Zionist conflict from 1917 to today. Laying the historical groundwork in the final decades of the Ottoman Era, when the first Zionist settlers arrived in the Holy Land, Black draws on a wide range of sources - from declassified documents to oral histories to his own vivid on-the-ground reporting - to recreate the major milestones in the most polarizing conflict of the modern age from both sides. A gifted storyteller and spiritual director, Father James Martin, SJ, invites listeners to experience the stories of the Gospels in a completely new, vivid, and exciting way to gain a deeper understanding of Jesus. Moving sequentially through the Gospels, considering not only familiar passages but also the "hidden life" of Jesus, the book offers a bold retelling of the life of Christ, faithful to the Christian tradition, while meditating on parts of the narrative that have often escaped notice. 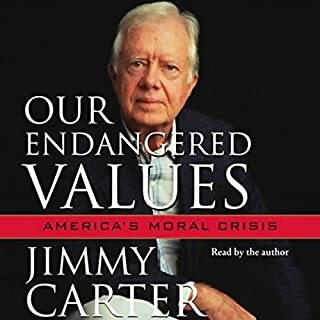 Following his #1 New York Times best seller Our Endangered Values, the former president, winner of the Nobel Peace Prize, offers an assessment of what must be done to bring permanent peace to Israel, with dignity and justice for Palestine. President Carter, who was able to negotiate peace between Israel and Egypt, has remained deeply involved in Middle East affairs since leaving the White House. He has stayed in touch with the major players from all sides in the conflict and has made numerous trips to the Holy Land, most recently as an observer of the Palestinian elections in 2005 and 2006. 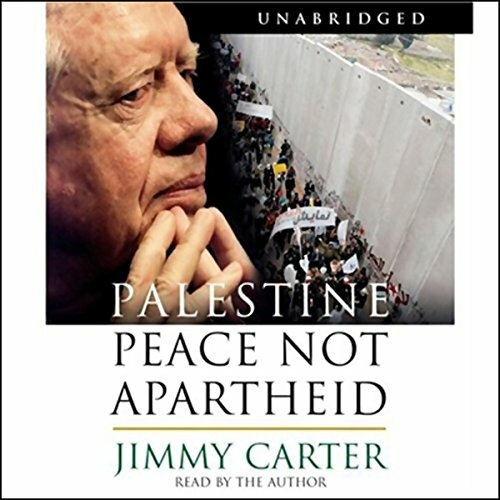 In this book, President Carter shares his intimate knowledge of the history of the Middle East and his personal experiences with the principal actors, and he addresses sensitive political issues many American officials avoid. Pulling no punches, Carter prescribes steps that must be taken for the two states to share the Holy Land without a system of apartheid or the constant fear of terrorism. The general parameters of a long-term, two-state agreement are well known, the president writes. There will be no substantive and permanent peace for any peoples in this troubled region as long as Israel is violating key U.N. resolutions, official American policy, and the international "road map" for peace by occupying Arab lands and oppressing the Palestinians. Palestine: Peace Not Apartheid is a challenging, provocative, and courageous work. PLEASE NOTE: When you purchase this title, the accompanying reference material will be available in your My Library section along with the audio. ; Download the accompanying reference guide. ©2006 Jimmy Carter. All Rights Reserved (P)2006 Simon and Schuster, Inc. All Rights Reserved. I am not prone to praising liberals, however President Carter is clearly a man of substance, character and integrity. You do not have to agree with his politics to appreciate the fortitude of the man that tells the truth as he sees it in the face of populist dogma. The man has taken personal risk in sharing a view of the middle east conflict that is just not told in the mainstream US media. President Carter, akin to Thomas Sowell and Thomas Friedman, has the rare ability to boil down the facts and present them in a fair and even handed manner that is understandable to the layman. My mother always shared with me that it takes two to have an arguement. Yet the popular media in the US typically shows only one side of the Israeli- Palestinian conflict. I have always wondered why, given the news that I read and see on TV, so many in Europe take issue with the Israeli government. I know have that understanding. Just to be clear, the violence against innocents perpetrated by the Palestinians is unacceptable under any circumstances. However, it becomes much more understandable (although unacceptable) as the only tool available to an oppressed, occupied and impotent people. Now I see more clearly that there is plenty of blame to go around on both sides. Further, there is a glimmer of hope that peace is available if both sides want it bad enough. President Carter makes it clear that the Israeli electorate wants it, but is held captive by the right wing which wields political power in excess of their actual numbers. As the oppressor and the clear power in the region, it is up to Israel to make the first move and get back to the negotiated Camp David accords. This will not happen until the Israeli majority excises the power of the right wing that is holding their government and, thus, the entire region captive. If the US people, through our government, put pressure on the Israeli government to honor their commitments, peace could blossom. There is hope. A refreshingly open discussion of the Israeli-Palestinian conflict, discussed by someone intimately involved in the pursuit of peace. 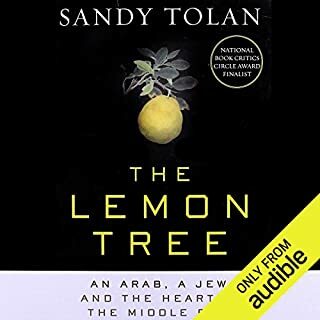 I'm thankful the audio version of this book is available since it's a required text for my Middle East class at Spelman College, and I have personal difficulty reading text alone. The content gave a great amount of historical information and was not too detailed nor too vague. Many places referenced to external sources instead of leaving gaps forcing contextual interpretation or having lengthy explanations. Name dropping and reference to actual meetings between President Carter and numerous leaders in that corner of the world made his input especially more trusted and his relationship with the issue more obvious. My only complaint is that the book is concluded as of maybe 2008 and since then, much has occurred and I'd love an update from Carter's position as a follow up to this book. as for his audio reading of the book, some words were muffled and changed altogether, but it wasn't an obstacle in completing the book. also, a reading of the Annexes would be nice. This is an excellent book with a great perspective from a man of peace. 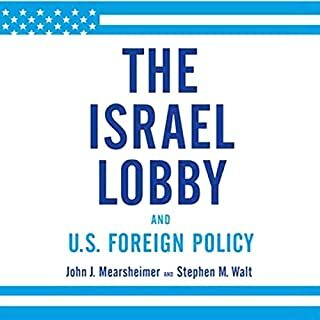 I do recommend this book to anyone who's interested in US foreign-policy and the Arab Israeli conflict specifically the Israeli Palestinian conflict. I do recommend two other books: the Arabs, which gives an excellent history of the Arabs with lots of details. I also recommend: the Israel lobby and US FOREIGN POLICY. Listening to President Carter insight on the Middle East was good. I found his thought process to be well balanced and rationale. If you could sum up Palestine in three words, what would they be? Which character – as performed by Jimmy Carter – was your favorite? 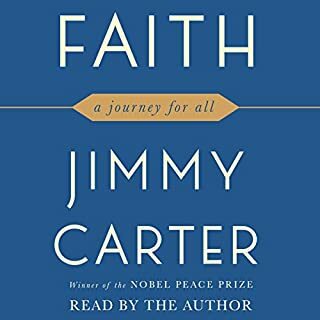 The book was phenomenal coming from President Carter itself. However, as someone who studies the Arab/Israeli conflict, I would honestly say nothing new came from this book. If you've got little to no background to the topic, definitely look into it - great read for understanding of the conflict. Good time, a bit long winded for some topics or some sub-topics more like. Knew where it was going and the entire book is based around a conclusion or suggestions of how to move forward. Could you see Palestine being made into a movie or a TV series? Who should the stars be? What made the experience of listening to Palestine the most enjoyable? 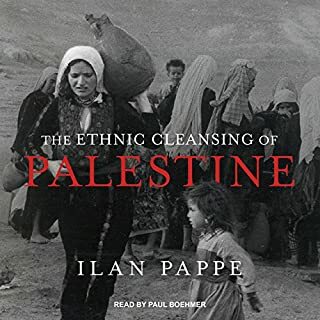 What other book might you compare Palestine to and why? Chapter 4 when he made cultures more understandable. I have great respect for Jimmy Carter for his role in bringing about the first peace treaty between Arabs and Israelis, they way he describes the existing problem and context of how they happened, helped me put of the news that I hear in perspective. .